Fun with Montenegro @ Bäco Mercat! Vuillermin. If you didn't know, you're not alone. For Love of Pinot Grigio. I tasted this Tre Fili Pinot Grigio at Sullivan’s Steakhouse the other day in Seattle, where my colleague Vittorio Marzotto and I stopped for a glass of vino and a bite to eat. Sullivan’s Wine Director Jeffrey Dorgan is also a fellow Italian Wine Geek, who peppers his classic American steakhouse wine list with gems like this Pinot Grigio. 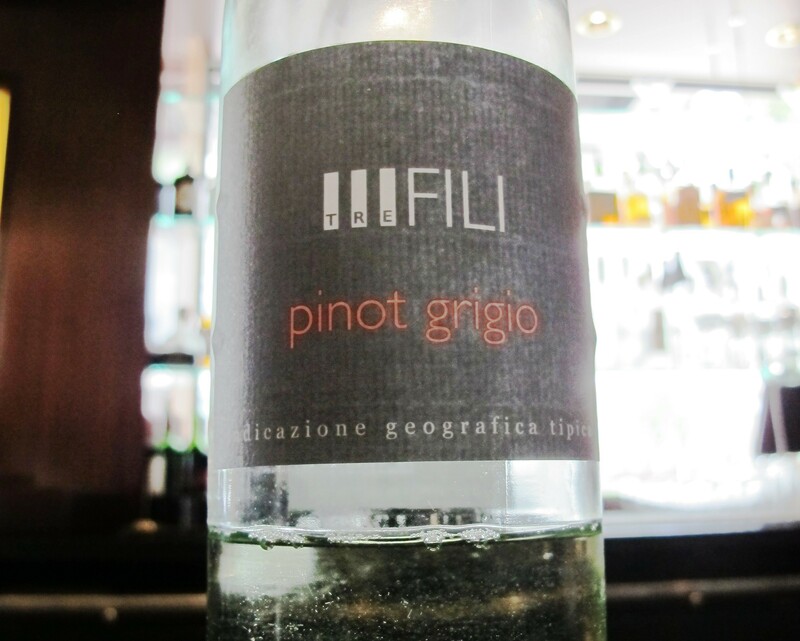 The Tre Fili Pinot Grigio is bright, fruity, and everything you want in a cold glass of Veneto sunshine. This Pinot Grigio also happens to be (deliciously) organic. 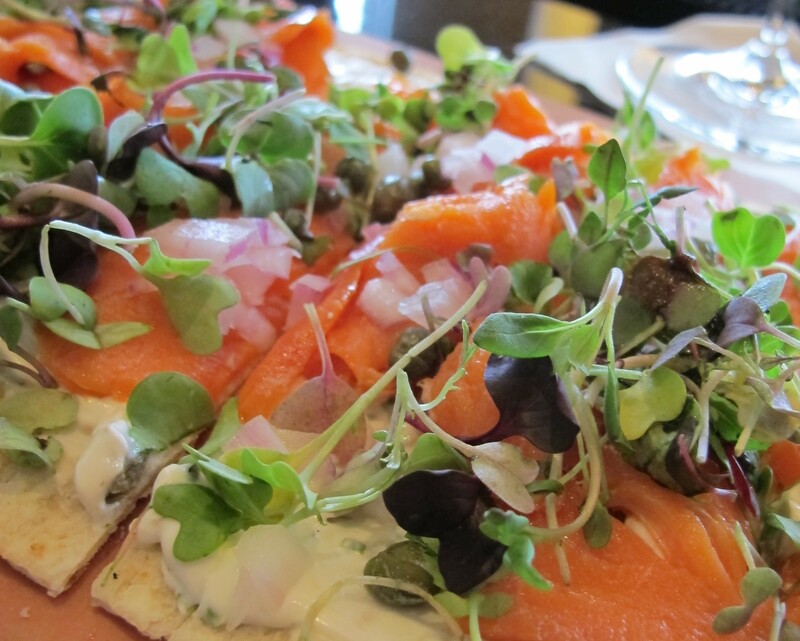 The wine paired exceptionally well with a locally inspired dish: smoked salmon-topped flatbread, smothered with an herbed crème fraiche and then finished with a scattering of delightful micro greens. Sullivan’s has my vote for one of the best Happy Hour scenes in the city- beautiful people, delicious, honest food, and a wine list to keep even the most jaded wine guys intrigued… what else could you ask for?